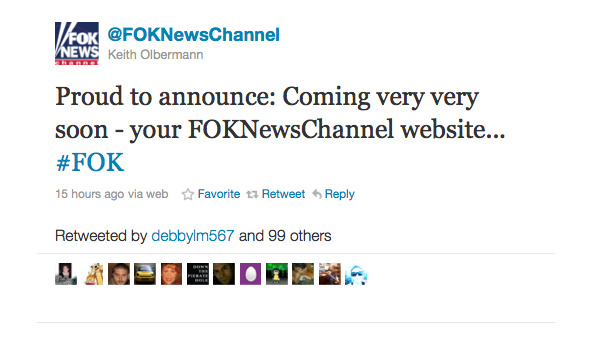 It remains to be seen, however, if the FOK website will be connected to Olbermann’s new job at Current TV (he’s the boss!) or something else entirely. 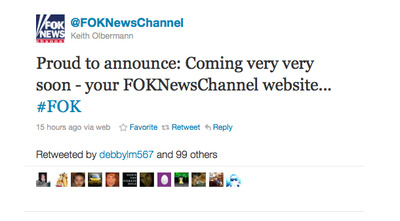 FOK News, for those of you not keyed into Olby’s every move, is the satirical Twitter feed (name-wise, anyway) Olbermann started after his swift departure from MSNBC. There was some speculation during his Current conference call that it would become some sort of feature on the new show a la Worst Person.